Love and hate. Good and evil. Life and death. The universe requires balance, whatever the cost. 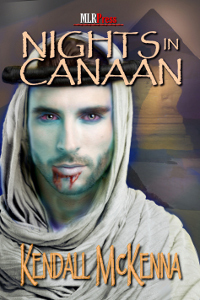 An ancient vampire rises, time after time, threatening the survival of the human race. An ancient warrior is reborn, again and again, with the singular purpose of halting the vampire's bloody rampage. With each encounter throughout time, their passions burn and their emotions deepen. The vampire shares his body and the warrior shares his blood. When they are no longer able to cause one another harm, the lovers hesitate to fulfill their destinies. Will the ancient warrior sacrifice the whole of the human race, in exchange for eternity in the arms of the vampire he loves?